Are you looking to buy a used car? If so, you’ve likely come across deals that seem too good to be true, or something doesn’t seem quite right. You might be looking at the deal of the century, or you might be looking at a lemon… with a washed title. 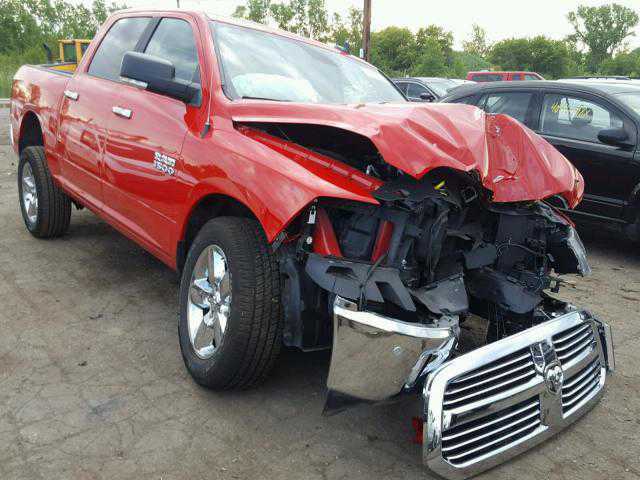 Had Paul ran a vehicle history report he would have learned his car had been totaled in a major accident in Mississippi, 5 years prior. HIs 4Runner underwent major repairs and was driven to Colorado where they unknowingly issued a clean title. Here’s how title washing works: a vehicle has been “totaled” (damaged at least in 50%, depending on the state) usually because of an accident or force majeure such as flooding, hail or flying debris. Once the vehicle has been totaled, many states assign a “salvage” brand notation with the VIN number in their DMV system. Unfortunately, it’s not hard to find deals like the one we just mentioned. 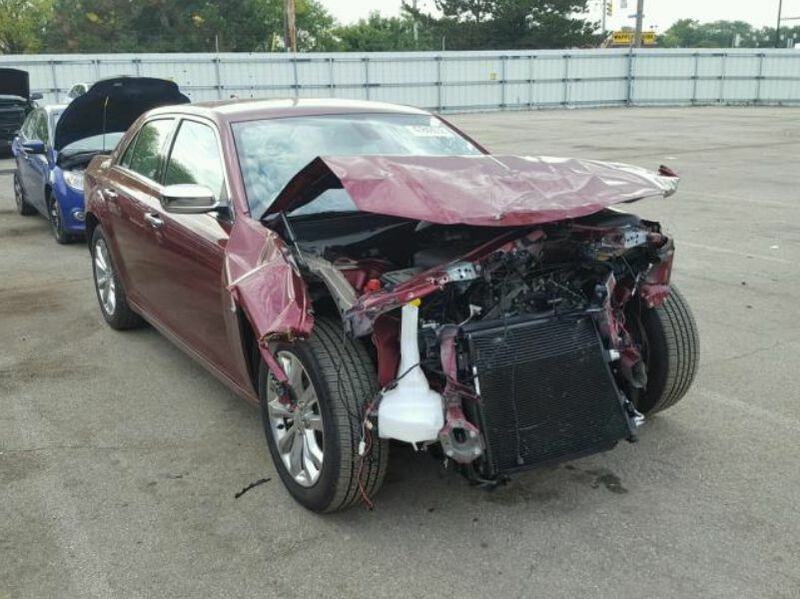 We found a 2018 Chrysler 300 involved in a rollover accident carrying a clean title on the same auto-auction website. While this example may take more money to repair, someone could still make a profit if they can buy the car cheap enough. The danger to unaware car buyers is that they have no idea the car has been severely damaged in the past and may be unreliable or flat out dangerous to drive. “Title washing allows a thief to effectively eliminate negative title brand such as salvaged and flood damaged from an imperfect title so they can pass off an unsafe vehicle to an unsuspecting buyer and make considerably more money on the resale,” says Cliff Stearns, former Subcommittee Chairman for Consumer Protection. 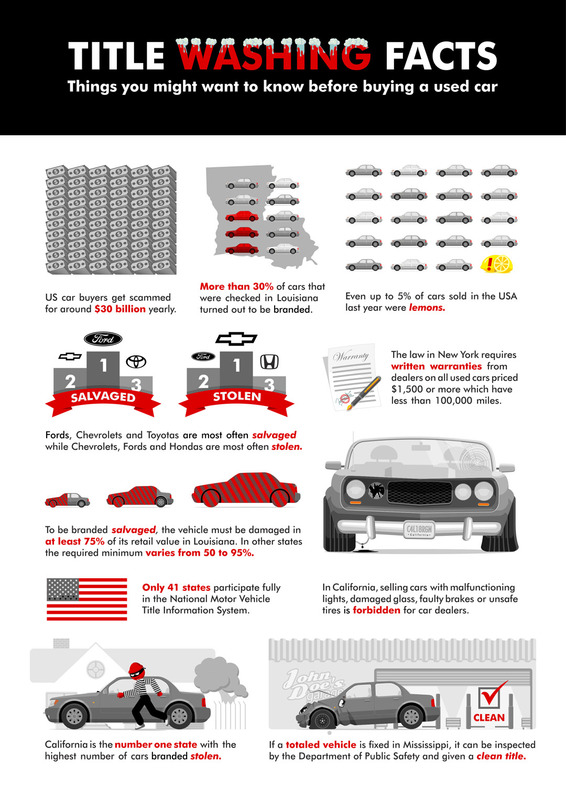 Each state in the U.S. sets its own standard for how severely damaged car titles are branded and fraudsters know this. By titling and re-titling these damaged cars in various states, they hope the negative car history will get lost in the shuffle. Title Washing Storms Across the U.S. This scam has been around for decades, but its recent escalation has been brought into the limelight due to, of all things, the weather. For more than a decade, major storms have caused billions of dollars in vehicle damage. Title washing scams have been steadily gaining momentum in that time. Some states have taken measures, adding legislation to prevent buyers from falling prey to title fraudsters. Title washing is so prevalent it’s estimated that over 800,000 cars have titles that don’t accurately reflect the damage it has sustained. Damaged vehicles aren’t the only ones getting title washed. 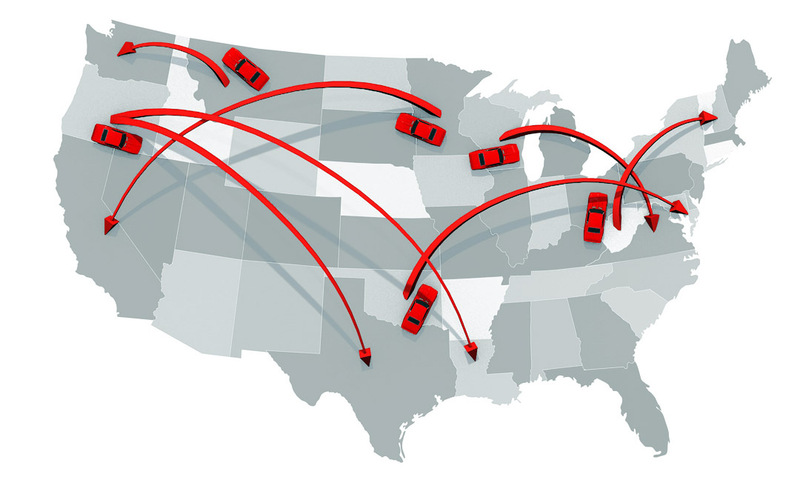 Stolen vehicles from across the United States have Vehicle Identification Number (VIN) badges altered to match salvage VINs. The vehicle won’t get flagged as stolen when criminals apply for a new salvage title. The same cars are taken across to jurisdictions with lax title branding legislation, retitled as “clean” and sold to unaware buyers. That’s bad news for the new owner that has no idea the car is stolen. And, in some cases, new buyers face legal trouble themselves once it’s discovered that their new-to-them car legally belongs to someone else. Every state is required to report into the National Motor Vehicle Title Information System (NMVTIS), however still more effort is needed to combat the rising tide of washed titles. 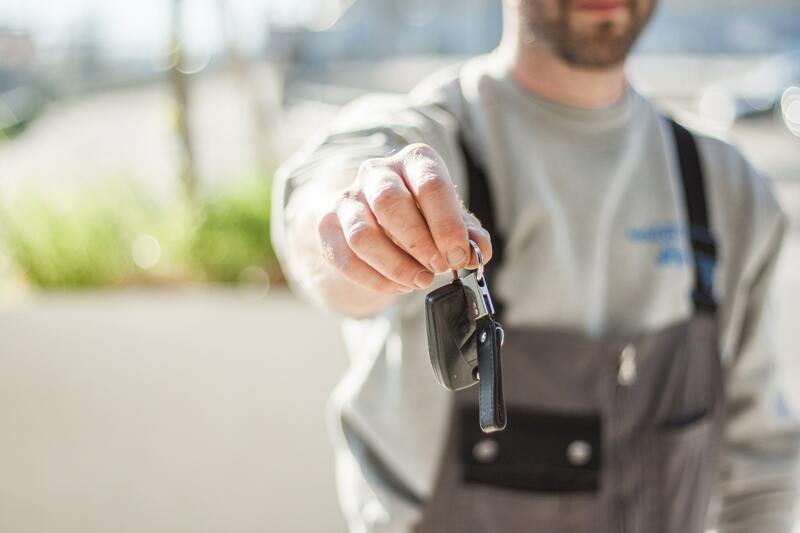 Even with new measures and laws being enacted in states like New York, where warranties are obligated by law for low-mileage cars, it’s estimated that scams of this nature continue to cost U.S. drivers billions of dollars each year. Ultimately, it’s up to the consumer to make informed buying decisions. There are several things we can do to ensure that we’re in fact getting a good deal, which usually means paying what everybody else pays. The number one red flag when buying a title washed car is low price. ”Wherever there is money to be made, criminals are going to skirt the system,” says Chris Basso from CARFAX. Make sure to check on the vehicle’s actual value. There are a variety of online options available to see what a car “should be” worth. If the price still seems too low, ask the seller why. Even if the answer sounds legitimate, running a check on the 17-digit VIN will help identify the car’s history and if it’s been involved in accidents or had insurance claims filed against it. Federal law requires that all VIN badges be in clear sight and legible. If the one on the car you’re looking at isn’t easy to read or is absent altogether, something’s not right and it’s in your best interest to walk away, no matter how beautiful the ride or how sweet the deal. First, be careful if the car has been titled in a state known for title washing. Second, if the current owner has had the car less than 2 years, you might want to know why they’re getting rid of it so soon. Aside from the car’s paperwork, make sure to examine the car itself. For example, you begin to suspect there’s something wrong if the odometer doesn’t work or shows extremely low miles for the age of the car – most vehicles in America average 10 to 15k miles per year. Also, an abundance of rust or salt corrosion given the age of the car or its supposed origin should give you pause. Even if things look good, you never really know what you’re buying. Title washing is so widespread that adopting the practice of checking a vehicle’s history is now a necessity. “Within a random sample of 1,000 used vehicles listed for sale on a popular automotive listing portal, we found over 57 (5.7%) of those salvaged vehicles and 11 (1%) of those salvaged vehicles having a clean title.” says David Wu, CEO of VinAudit.com. 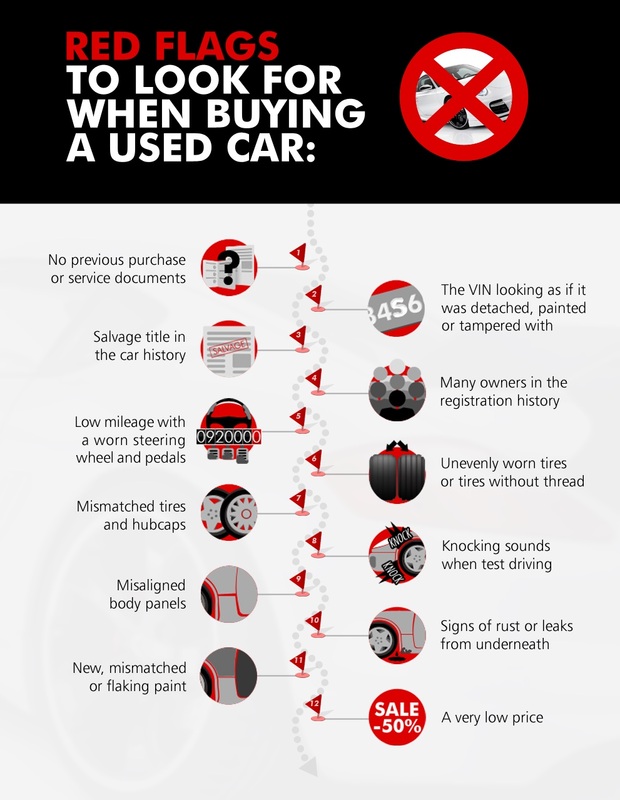 Buying a used car can be fun, exciting, invigorating, and downright stressful. It’s up to you as the consumer to decide whether a car is worth the money you’ll pay. Just remember the old adage that says, ‘If it’s too good to be true, it usually is.’ If you take your time, research the car’s history and look for warning signs, you can save yourself a lot of hassle, money, and time. “No one wants to discover that the car of their dreams they just drove off the lot spent some time as a water-logged submarine or a twisted wreck, but many folks ARE duped and suffer financial and sometimes physical loss from an unsafe vehicle that has no business being on the road.” – Rep. Cliff Stearns R-FL, Forman Chairman of the U.S. House of Representatives Subcommittee on Commerce, Trade, and Consumer Protection. The reality is that many people realize too late that the car of their dreams is just one of nearly 1 million vehicles which have no business being there. Take the time to look for clues of fraud yourself and make sure to have the vehicle, and VIN thoroughly inspected to avoid the financial, and sometimes physical, loss of buying a title washed car.